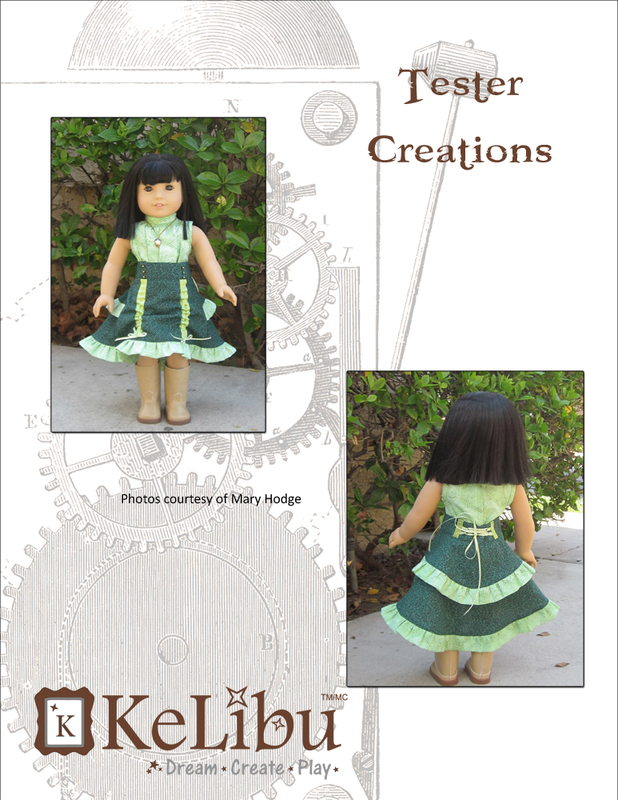 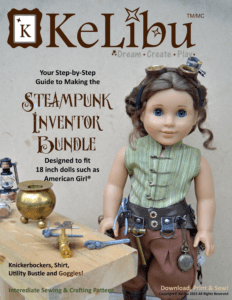 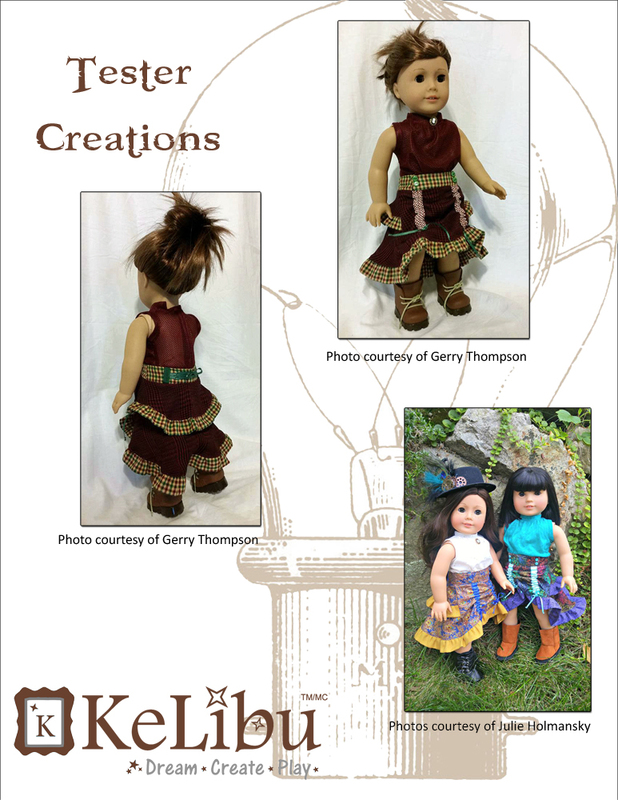 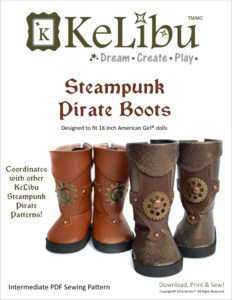 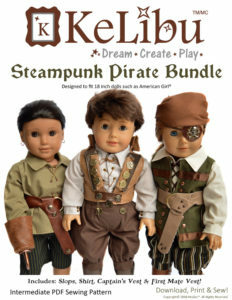 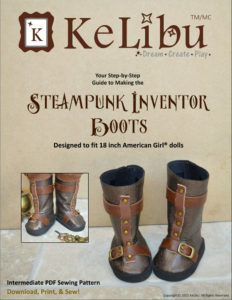 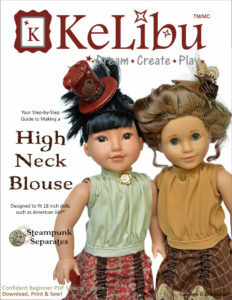 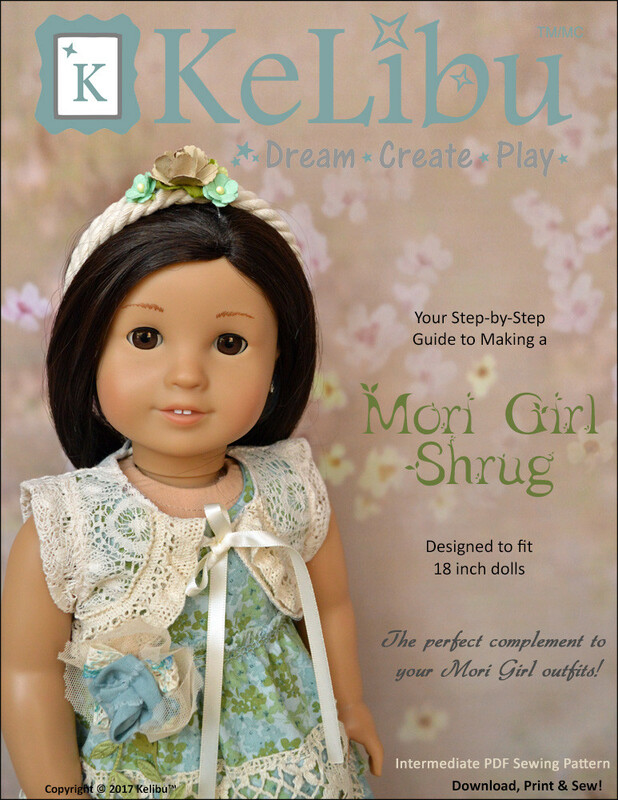 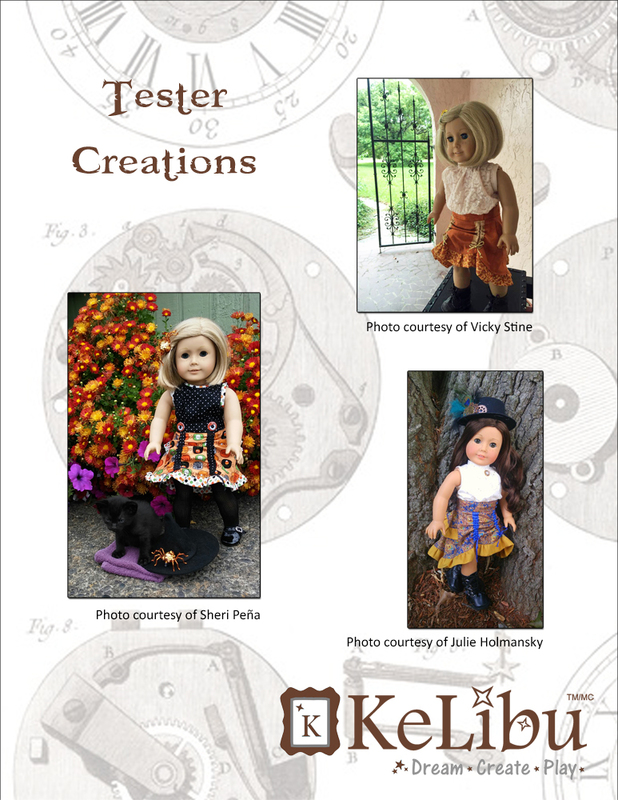 This digital sewing pattern will let you sew a classic steampunk skirt for your 18 inch doll. 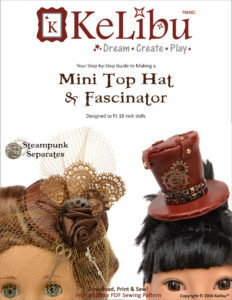 The Bustle Layer Skirt is a staple of steampunk fashion and a great way to add neo-Victorian style to an outfit. 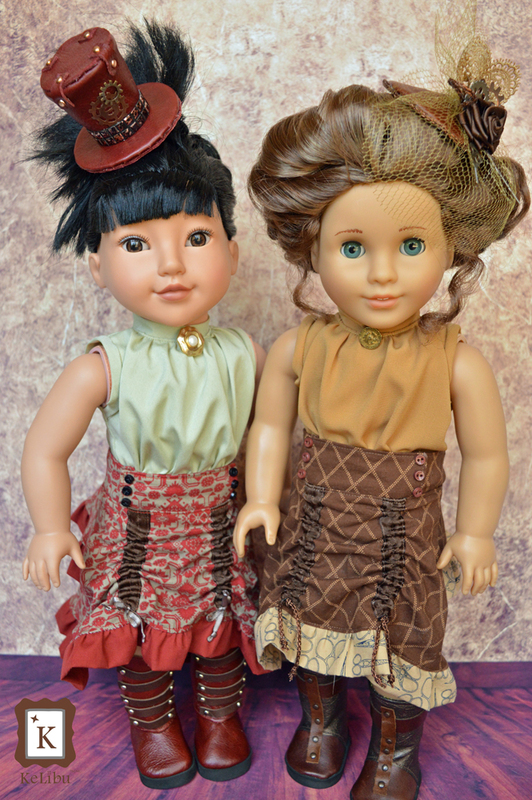 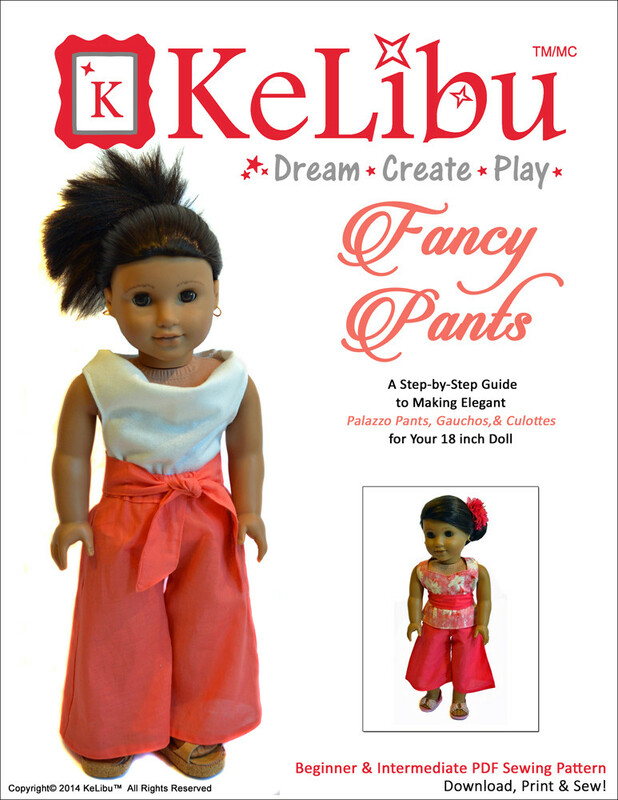 Two layers cascade down the back with ruffled bottoms and fall nearly to your doll’s ankles. 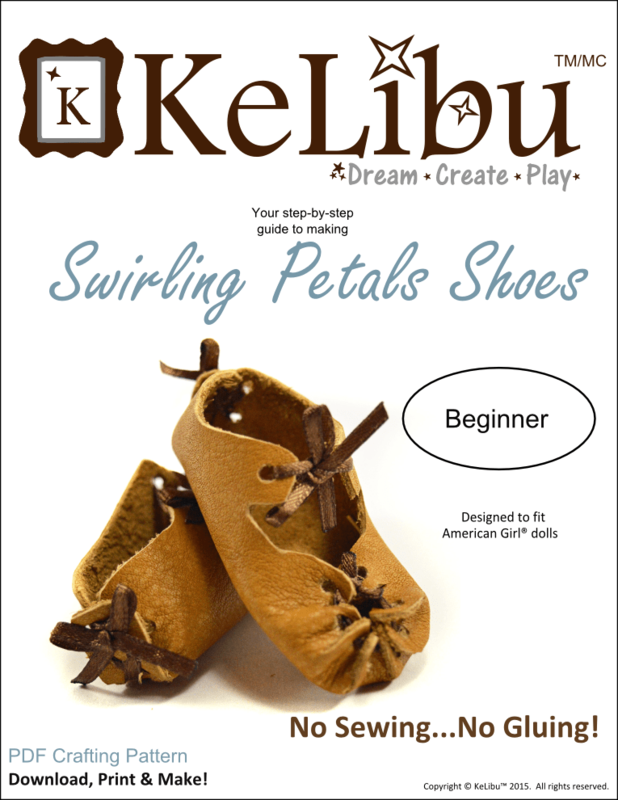 Ribbon drawstrings allow you to bustle up the front, creating a ruched effect. 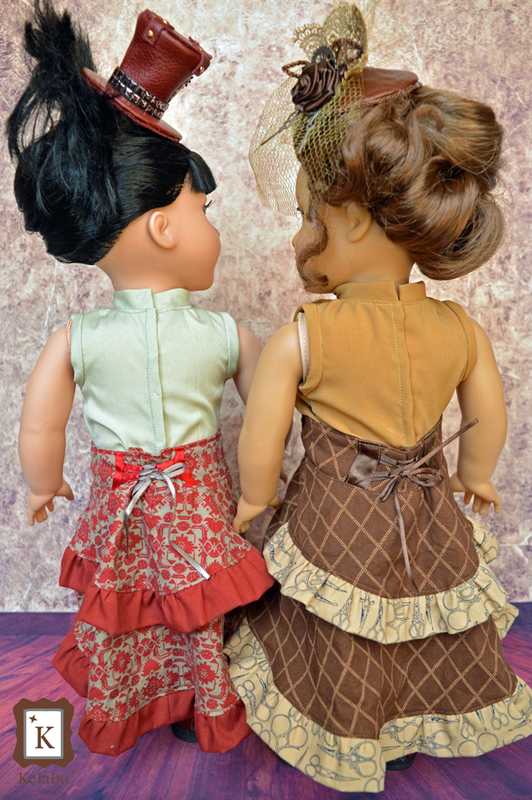 The high waist features a double faux button closure on the front and lacing in the back so the skirt will fit dolls with a variety of waist sizes. 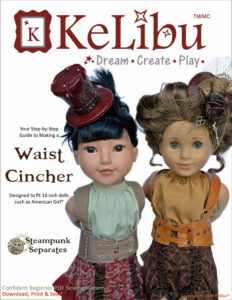 Part of the Steampunk Separates collection, this skirt can be mixed and matched with other KeLibu Steampunk Separates patterns. 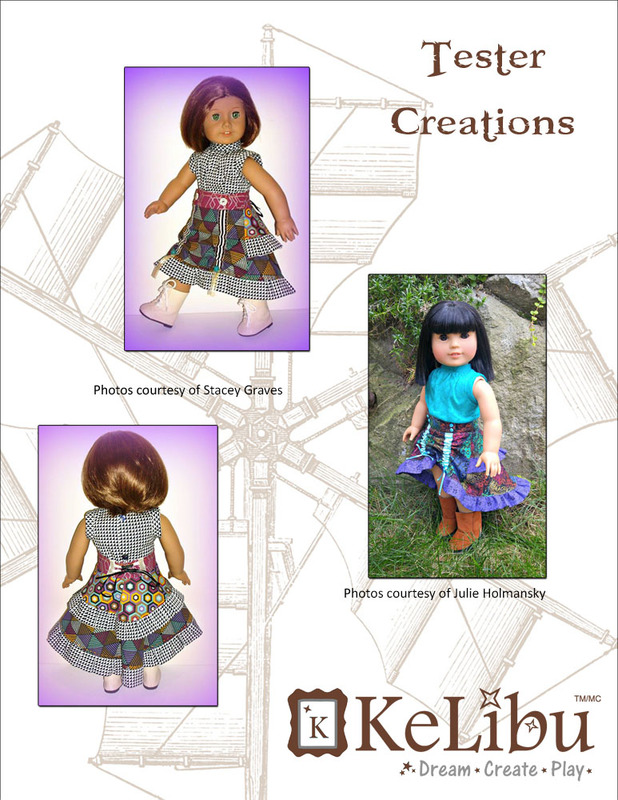 Part of the Steampunk Separates collection, this skirt can be mixed and matched with other KeLibu Steampunk patterns.